On Saturday 1 October, District 9940 District Governor Martin Garcia, ably supported by Ken Chanceller, District Chair Blood Pressure Campaign, Mayoral candidate, Euon Murrell, and Councillor Anita Baker, visited the Whitby Mall shopping centre to add their support to the Big New Zealand Blood Pressuire check “Put a smile on your dial”. 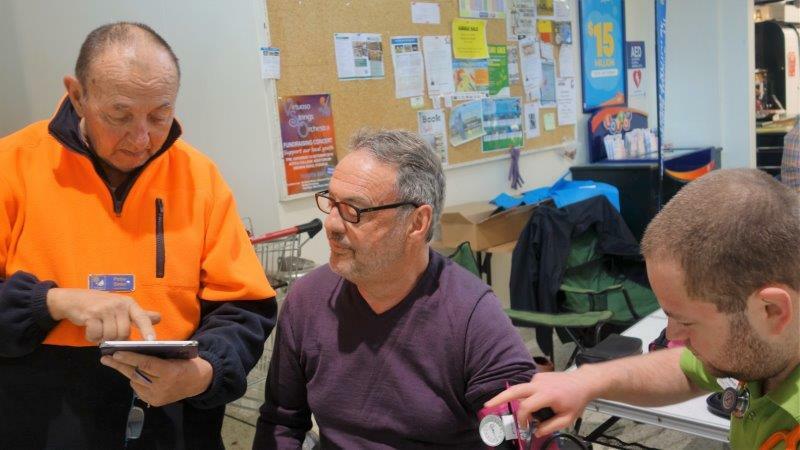 This is a joint partnership between Rotary, Wellington Free Ambulance, St John, and the Stroke Foundation of New Zealand to heighten people's awareness of the dangers of a stroke. Around 9,000 New Zealanders have a stroke each year and one of the major causes is high blood pressure. 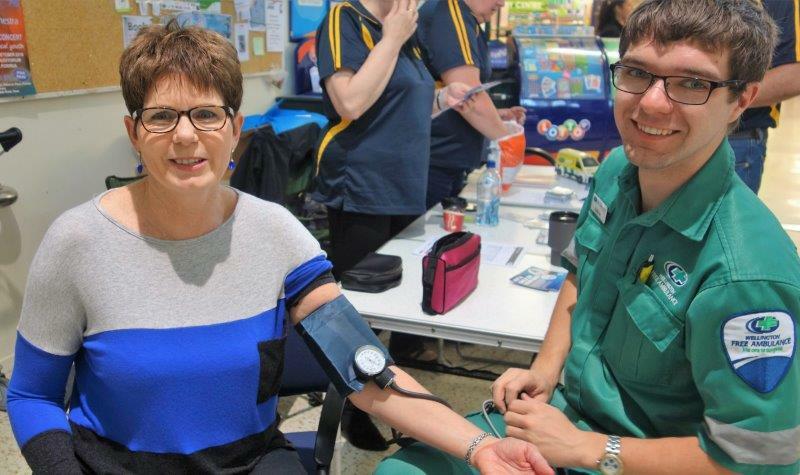 Over 100 people came to have their blood pressure (BP) taken by two able volunteers from Wellington Free Ambulance. Each was given a card recording their blood pressure to take away and free advice on how to reduce the risk of a stroke. Thanks go to all the people that supported this yearly event through setting up to taking down the tables and chairs and collating the information that will go to the Stroke Foundation. 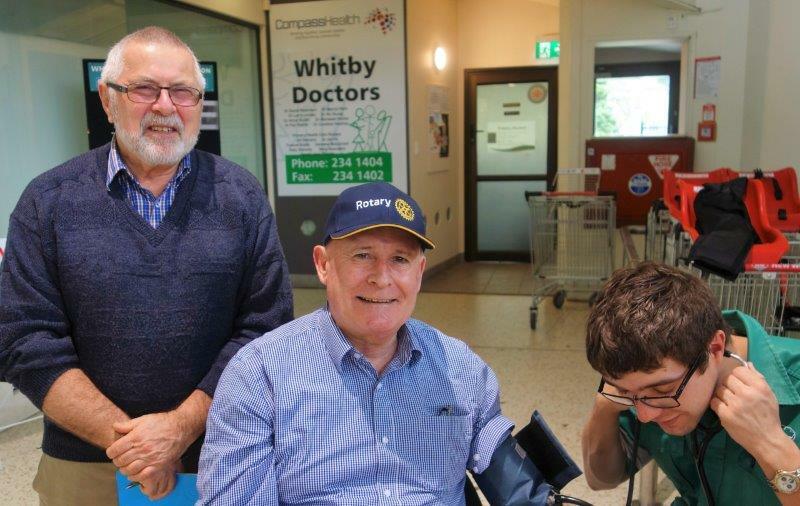 The District Governor's blood pressure was well within the recommended range so he was sent on his way to continue the good work of Rotary, fighting fit and full of fortitude. Apparently his actual blood pressure reading is a state secret and will not be released into the public domain yet. Original generation time 1.4733 seconds.